As one of the founders of Opal, I’ve been part of the company’s history from the very beginning. It’s been an incredible experience turning an idea into a company, that today serves many of the world’s most valuable brands, and the piece of the Opal journey that I take the most pride from is how we did it. One of the core components of doing things our way has been something that we at Opal call, Customer First. It’s been in our DNA since day one. Customer First to everyone at Opal, at its very core, is to put the customer first in every scenario, thought, and decision we make as a business. We have a department at Opal called Customer Success, but it is much more than a just a department, it’s a way of thinking that touches every person at the company. 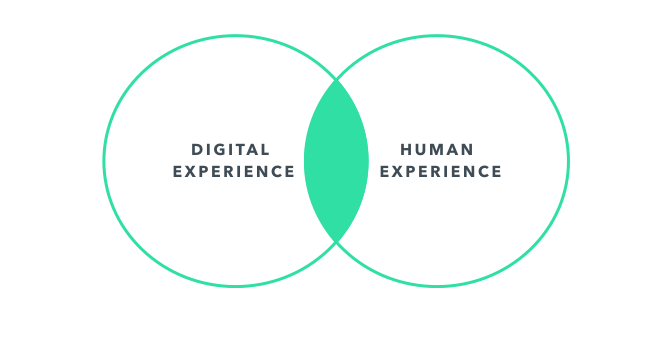 It is my personal belief that true customer success happens at the intersection of beautiful Digital Experiences and exemplary Human Experiences. Customer First is the belief that if we put our customers, humans, first, we win. We only recruit what we call ‘sales humans’ – people that live to help solve the problems of our customers and prospects. They believe in relationships and put those first. With strong relationships comes mutual respect, shared knowledge and the forethought of knowing when to dip in and dip out – while always having the goal of adding value. This is an art and our sales team is doing this every day. And it turns out relationships matter to our customers too. Customer support is sometimes looked at as being the ‘ugly duckling’ of the Customer Success team, we flip this on its head. It’s the function that gives us the most direct conversations with our users, these conversations are opportunities to not only resolve the issue in question, but to listen, learn, and build better human relationships. The worst thing that we can do as a software company is wall off our employees that don’t have interactions with our customers in their daily work. So we don’t do this! We need and want to universally understand first hand what it is like for our users to do their work in the Opal platform. We achieve this by sending our designers, engineers, sales managers, and support staff to our customer launches. We want true empathy company wide for our customers. With this first hand experience comes lessons and insights that can make us better. It also makes it so the customer is never far from anyone’s thoughts. The customer success landscape is still in its infancy but we pride ourselves in challenging and influencing this debate. We believe that our Customer First philosophy is a clear differential and are very proud to demonstrate that the human, considered, and intentional approach to building relationships works toward our mutual success with our customers. I’m passionate about serving our customers and excited to share our learnings with the world. You can follow along on our journey here and you can catch me speaking at customer success conferences.